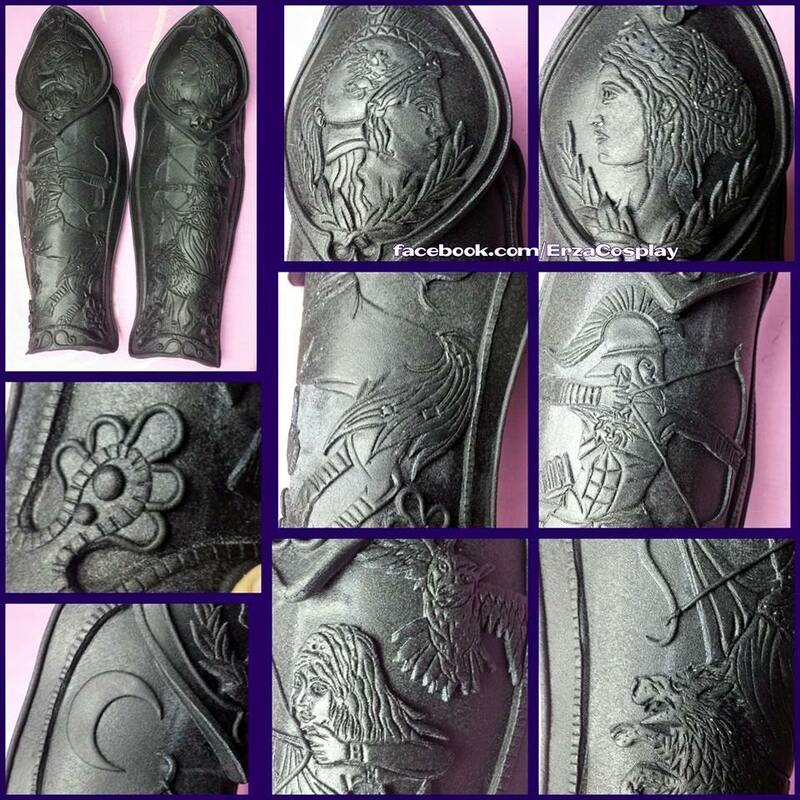 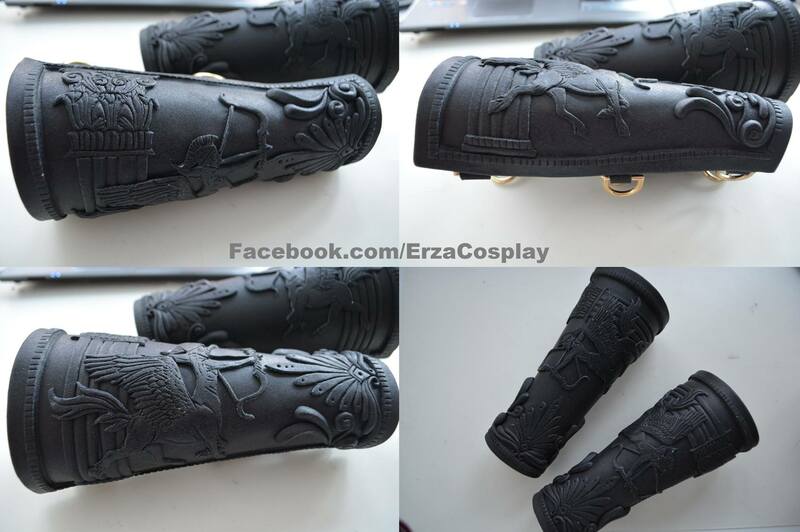 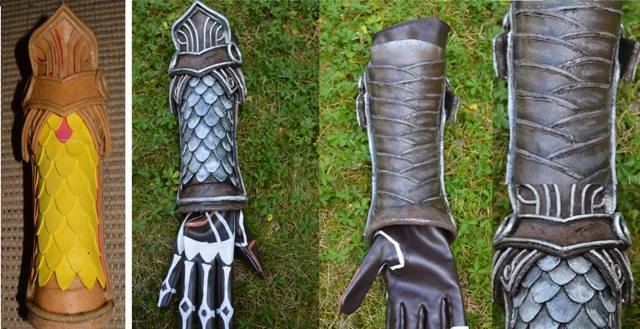 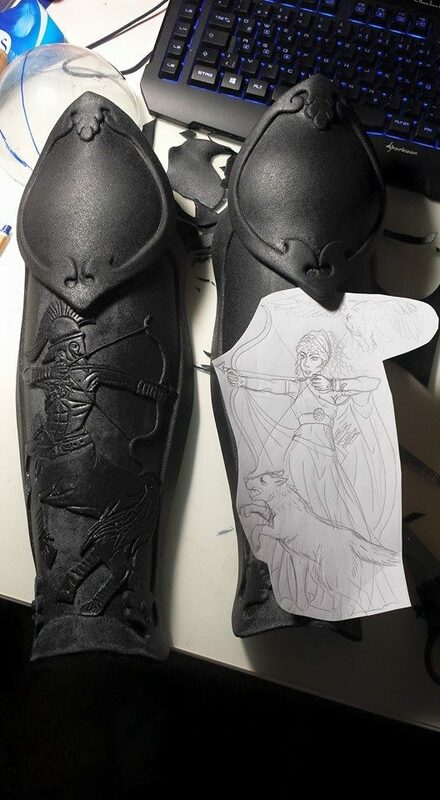 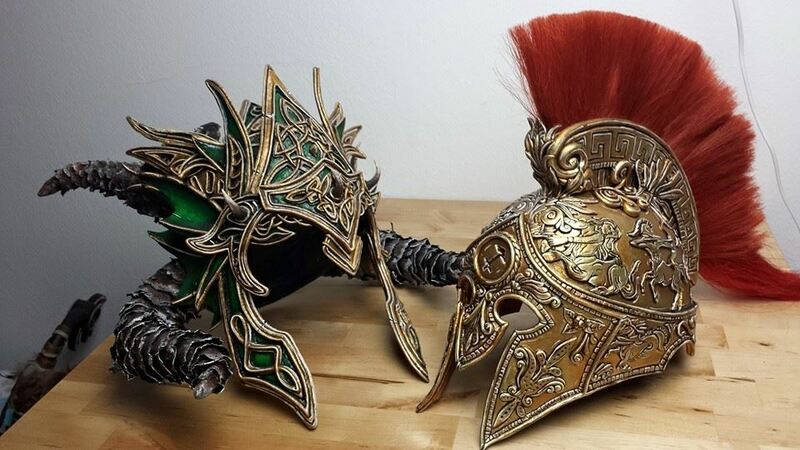 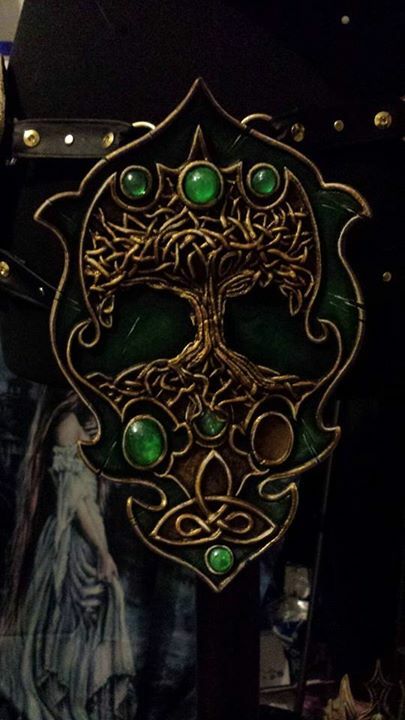 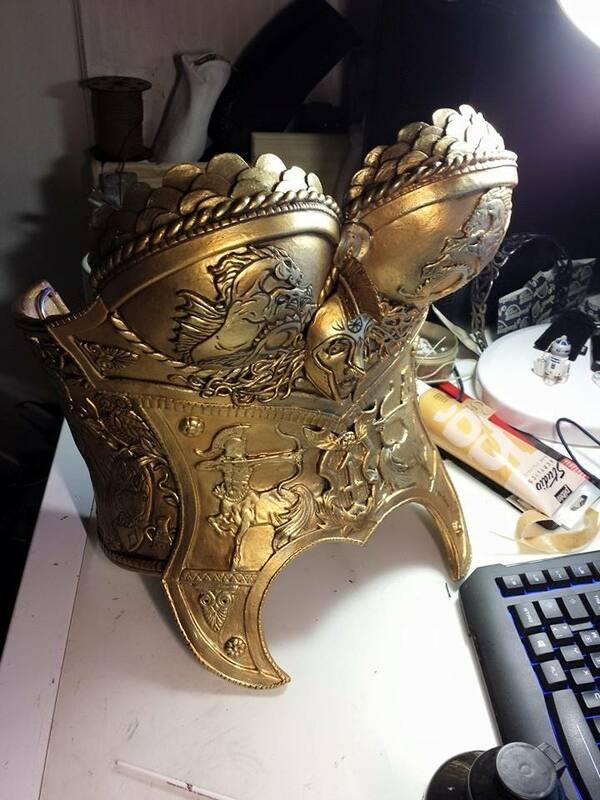 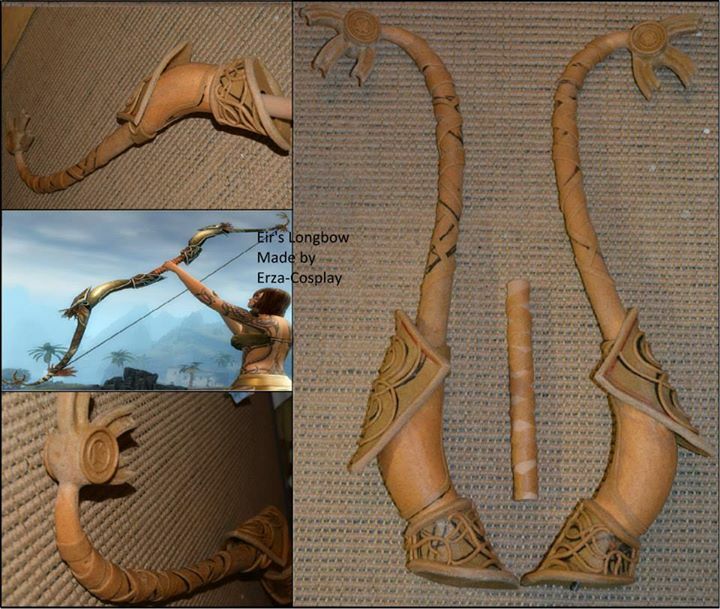 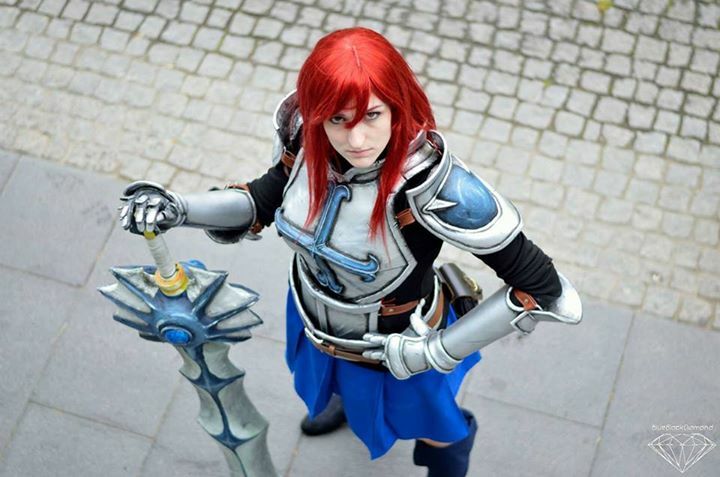 Erza Cosplay continues to astonish us with her amazing attention to detail, fantastic craftsmanship, and wonderful tutorials and willingness to help that we love to see within the community. 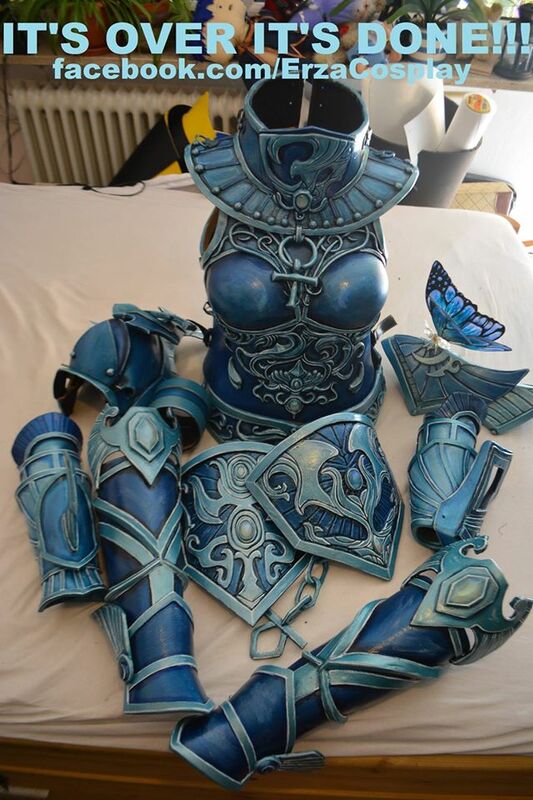 As a result, this is a page to highlight and showcase her phenomenal work. 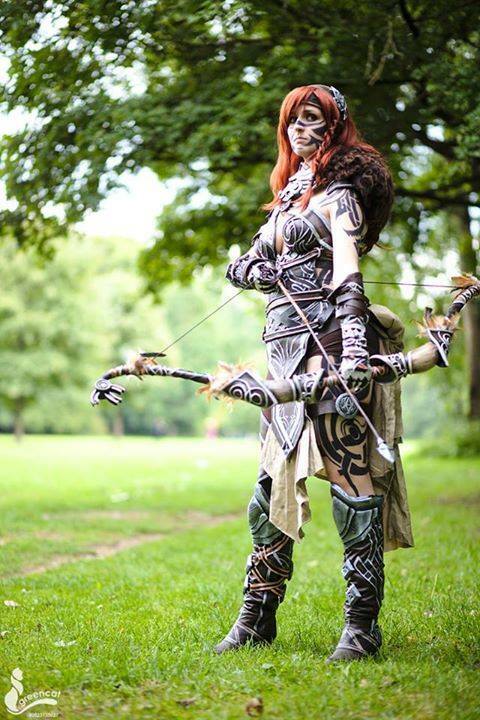 If you haven’t done so, you should absolutely check her out! 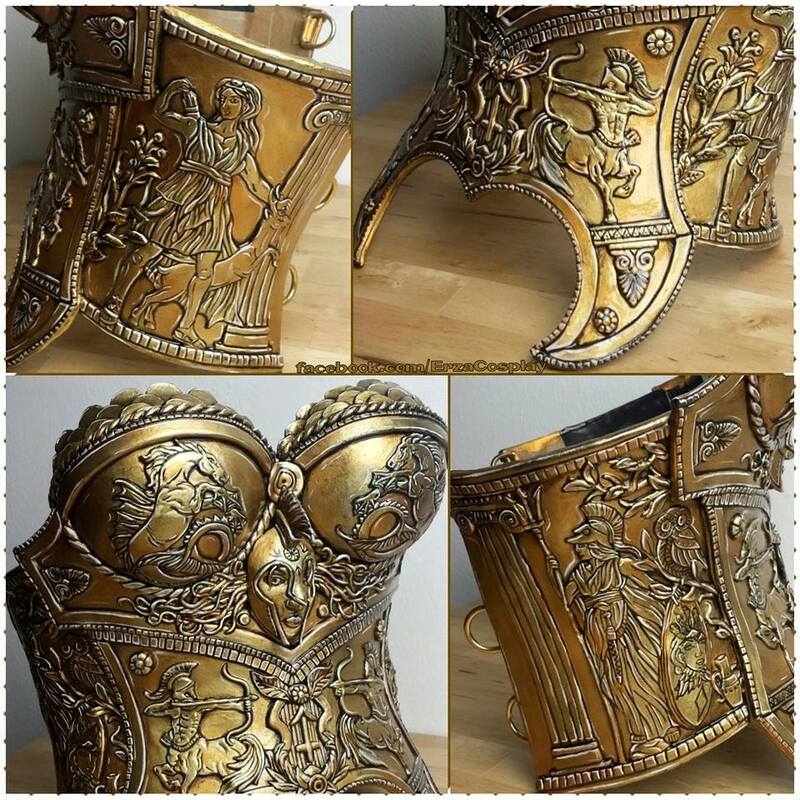 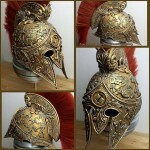 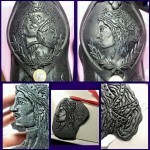 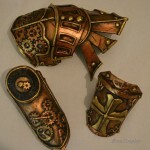 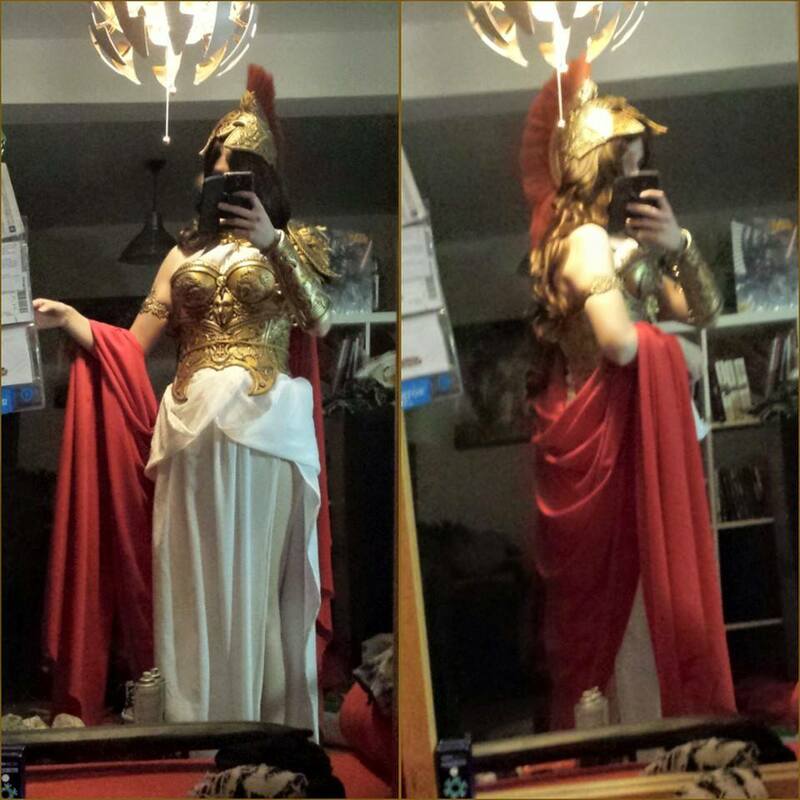 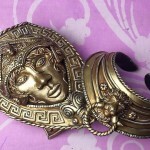 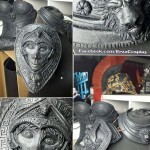 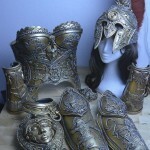 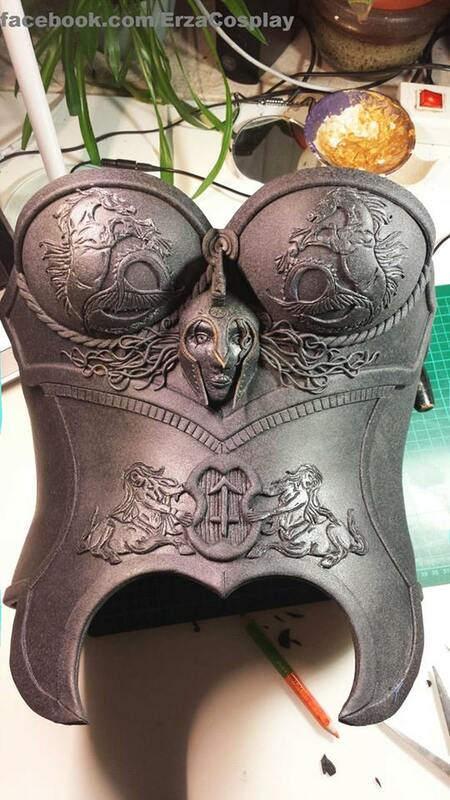 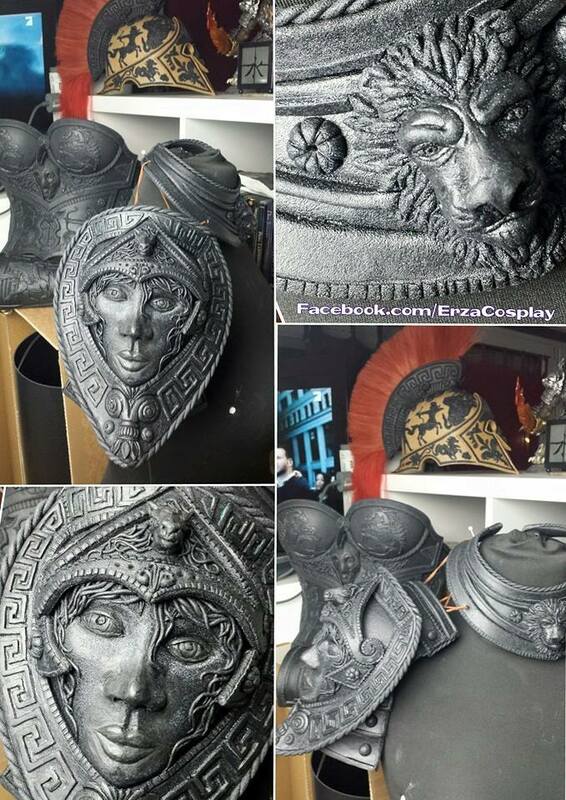 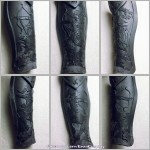 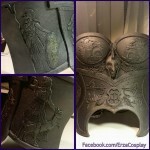 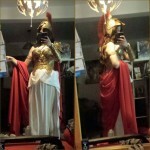 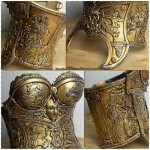 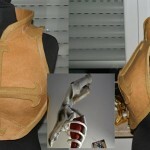 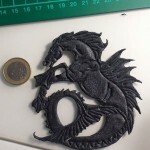 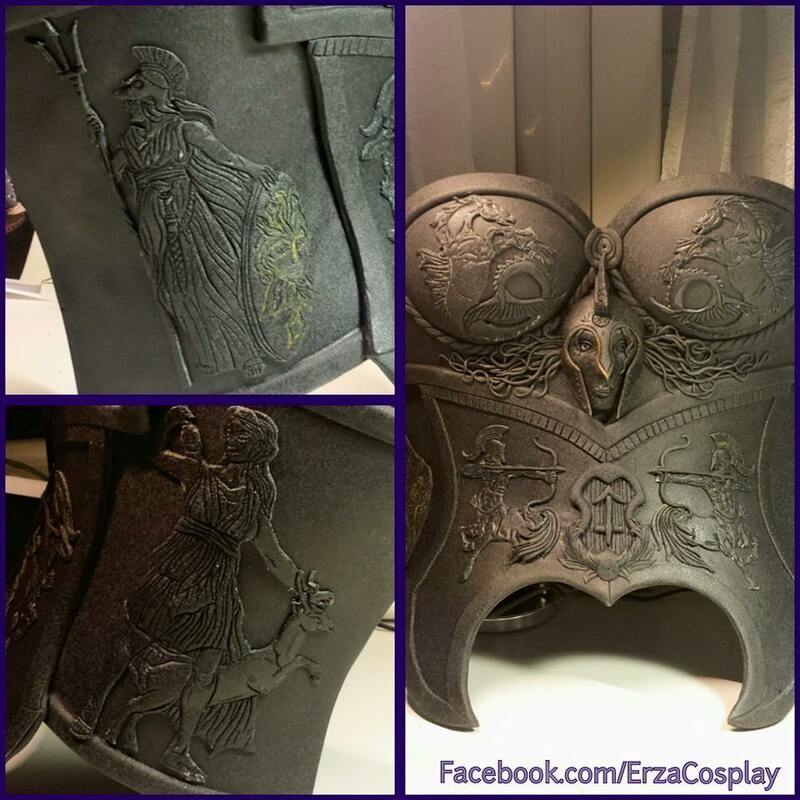 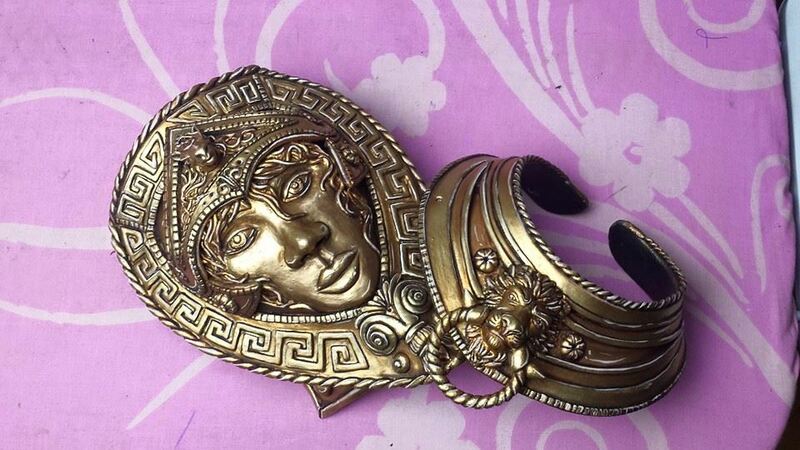 Erza’s most recent project has been Sagittarius, a Greco-Roman armored piece with amazing detail. 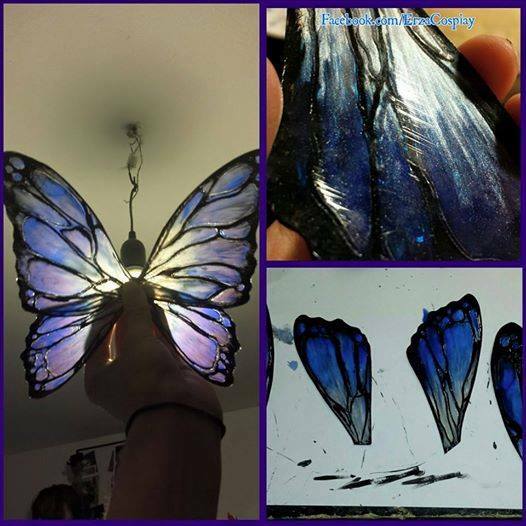 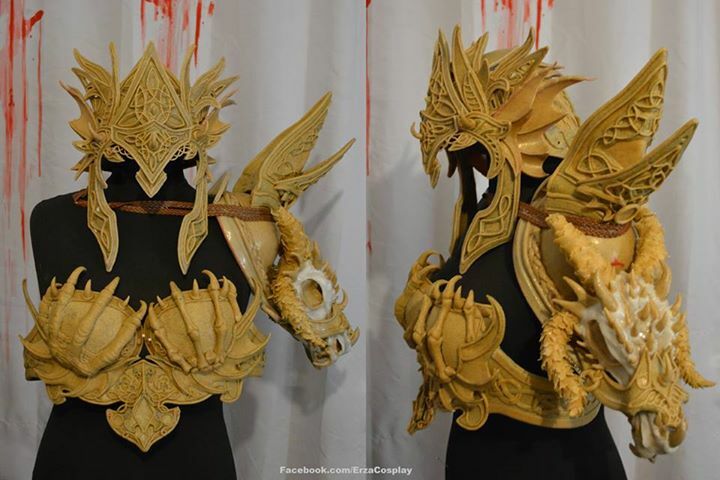 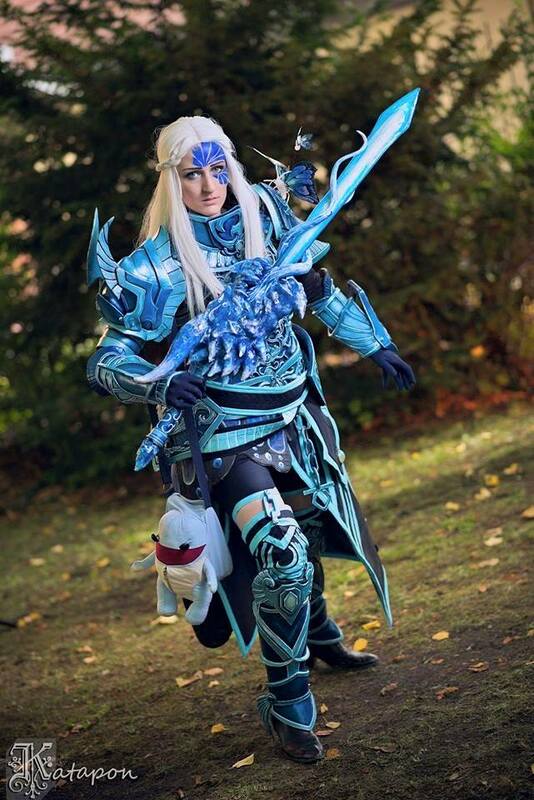 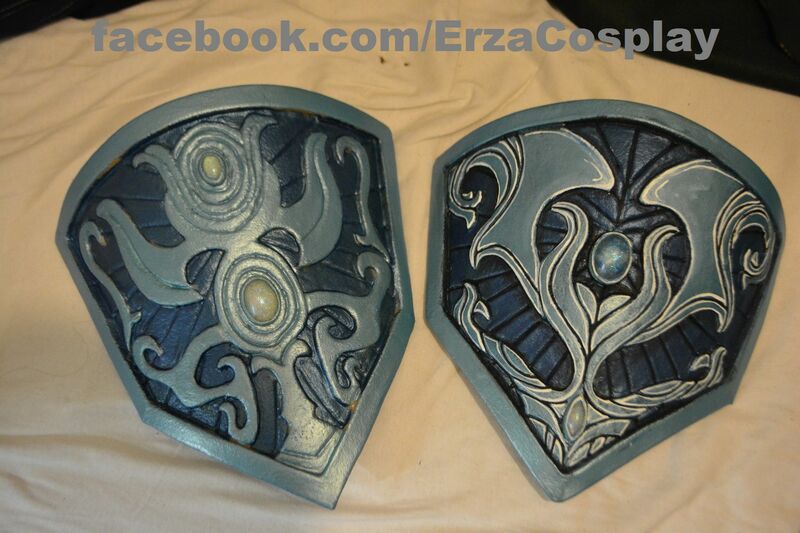 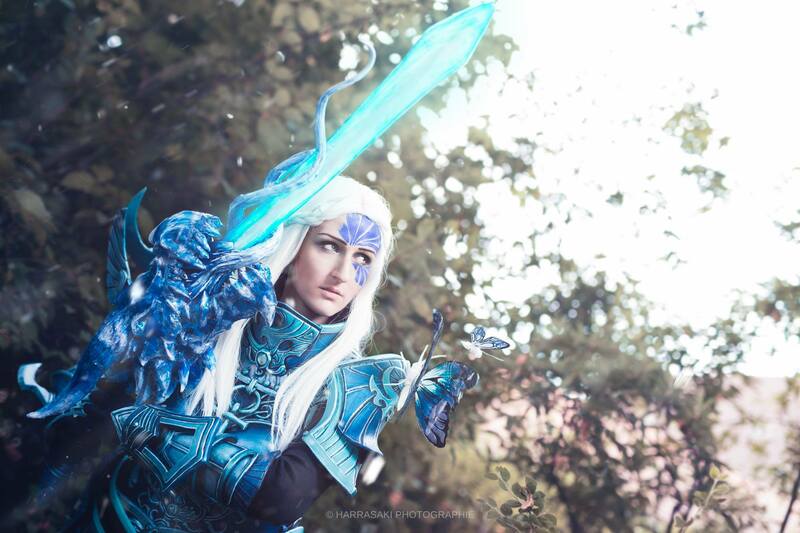 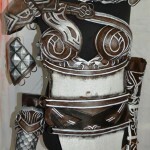 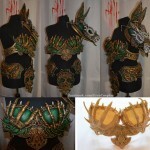 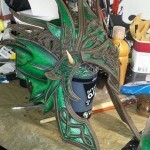 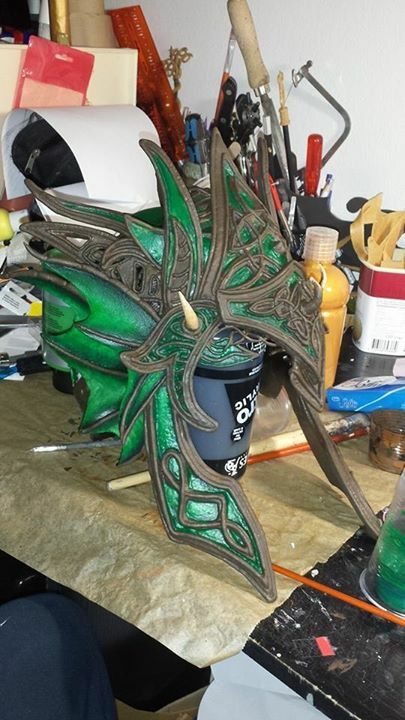 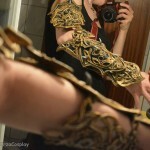 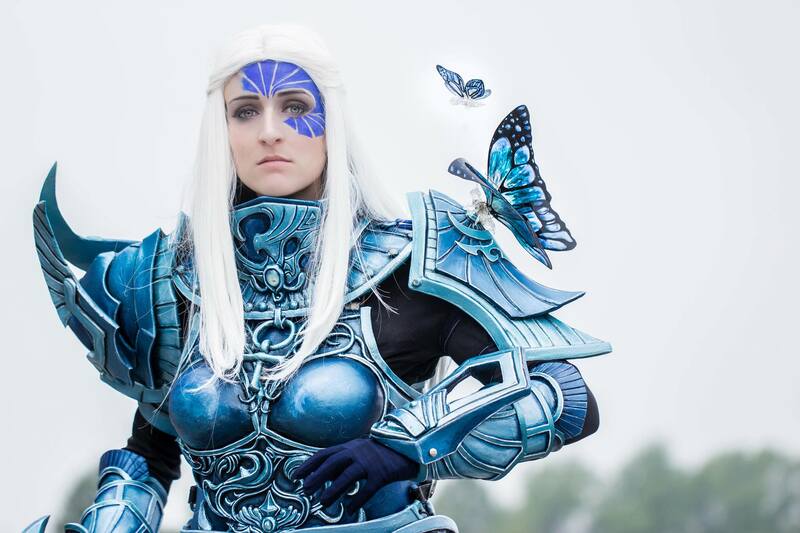 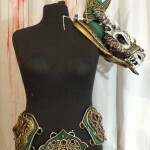 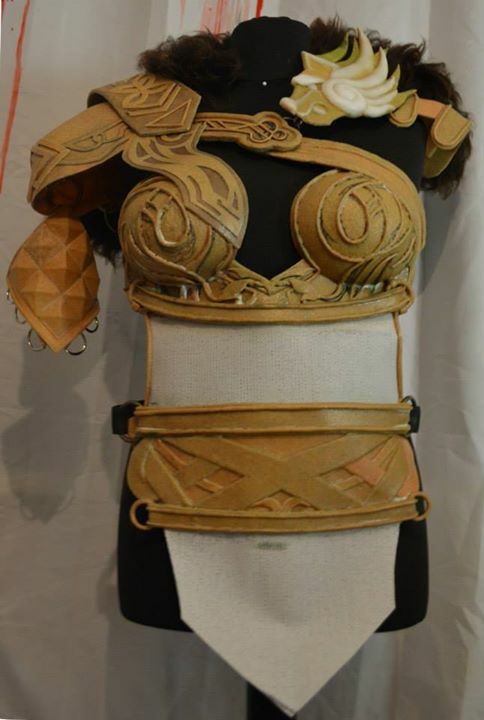 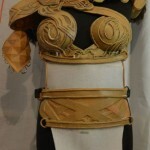 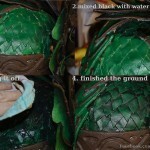 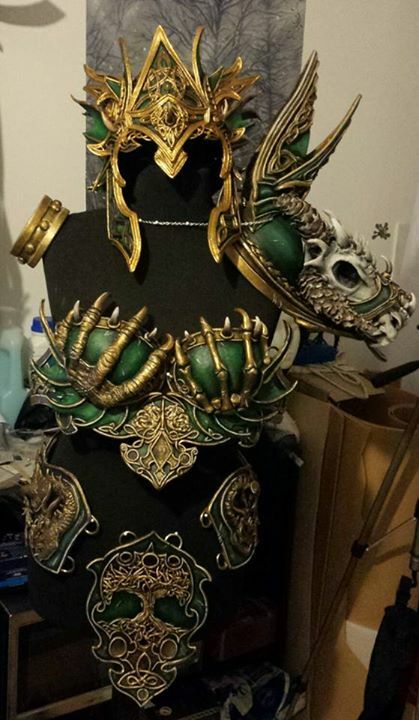 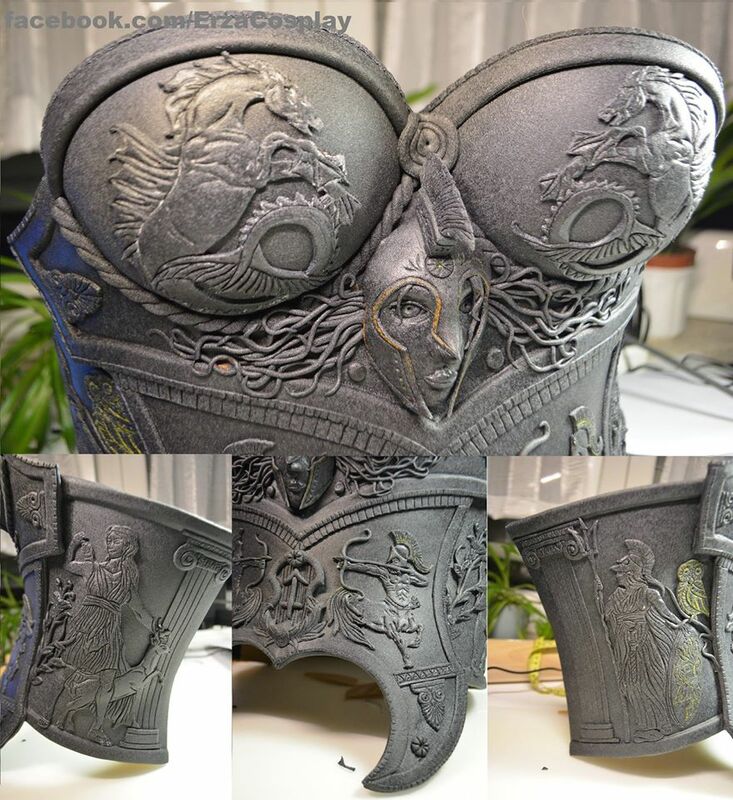 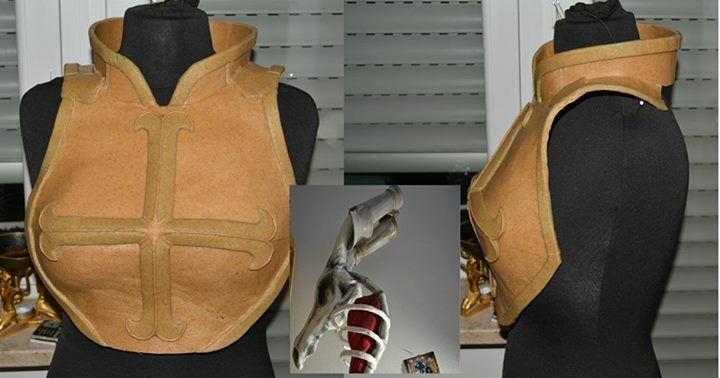 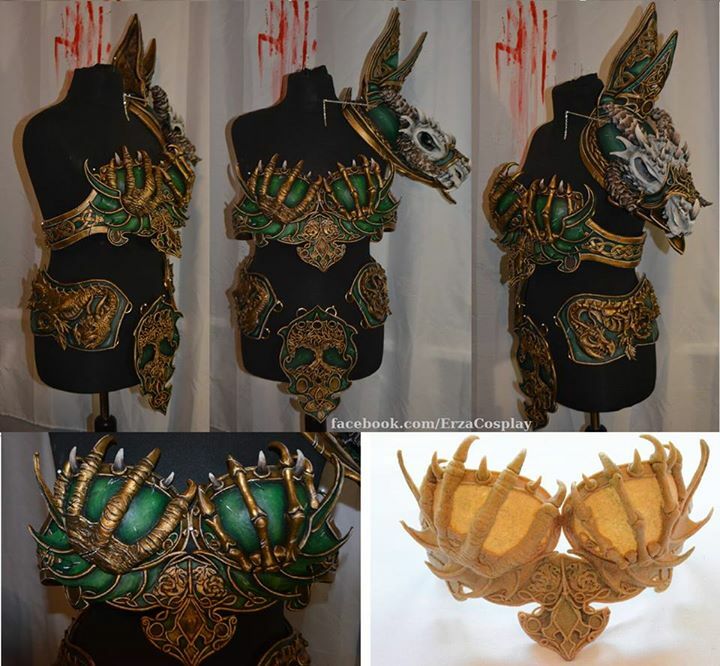 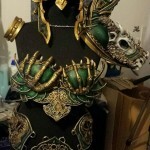 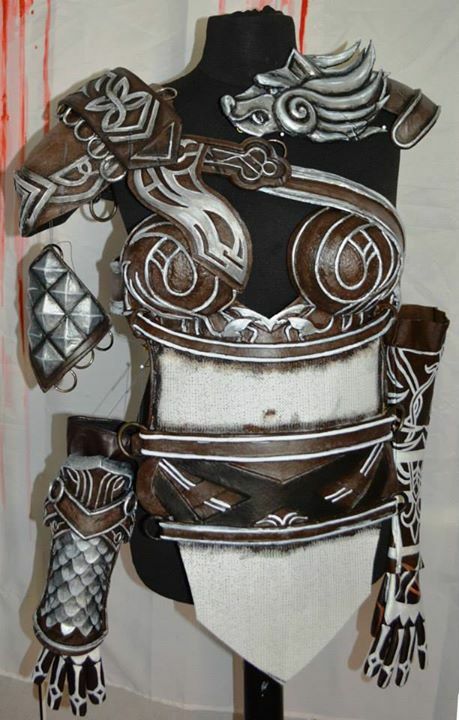 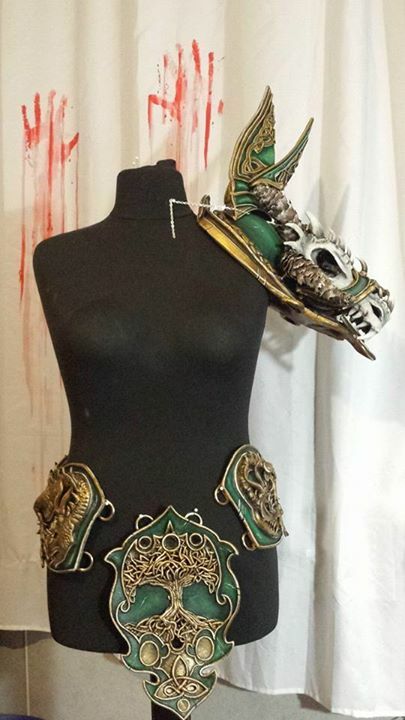 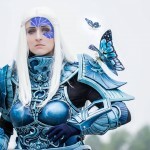 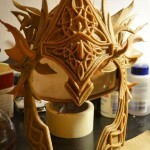 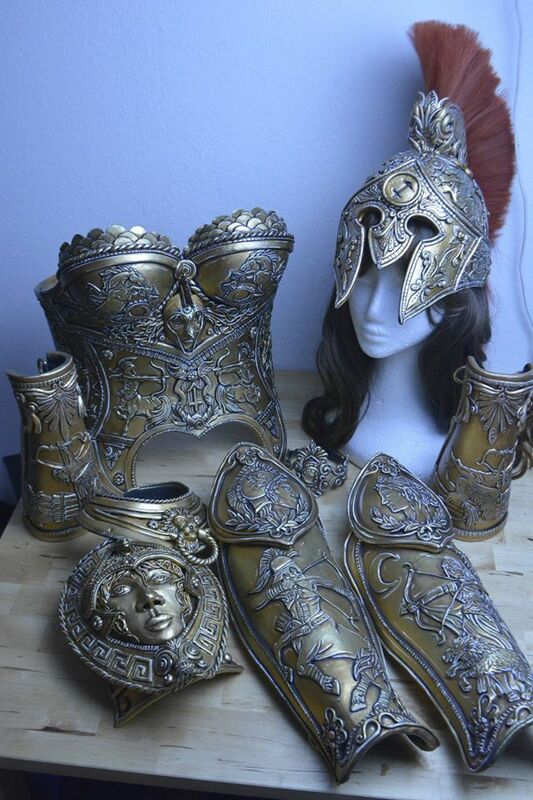 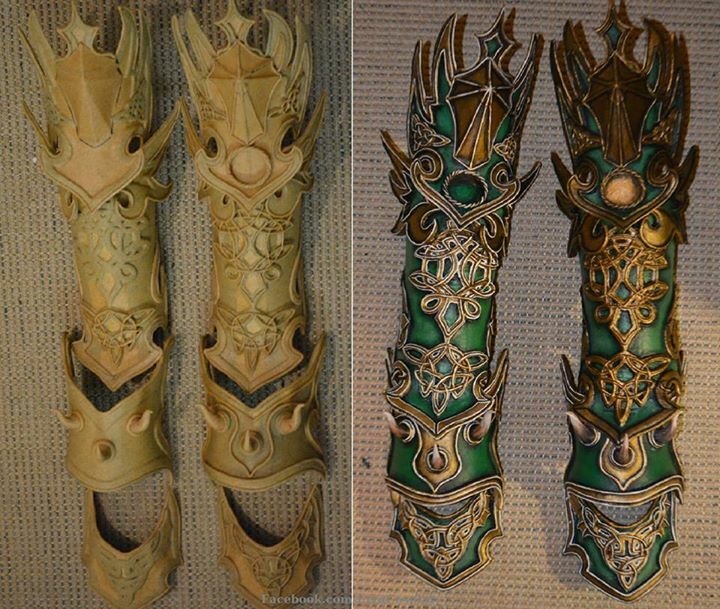 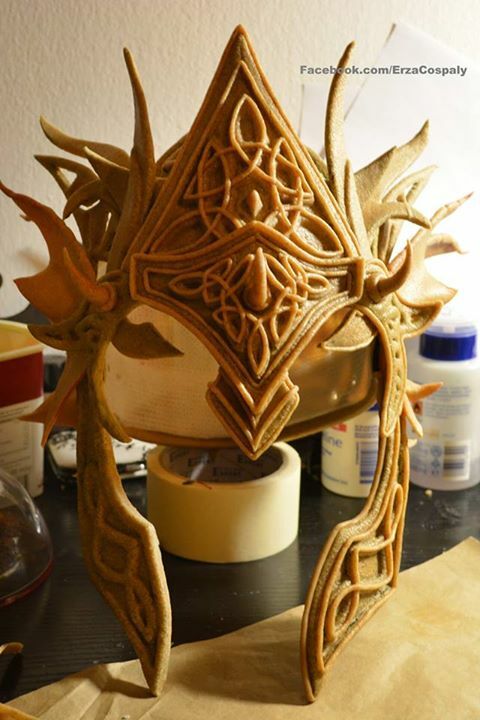 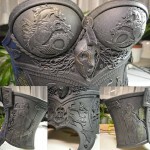 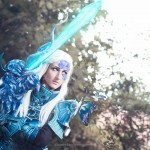 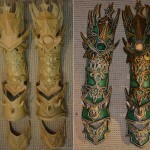 This amazing Heavy Luminescence Armor from Guild Wars 2 used Worbla’s Finest Art, TranspArt and DecoArt. 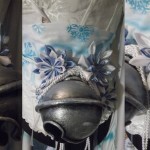 Photos by Katapon Photo, Harrasaki Photographie and NBM l Productions. 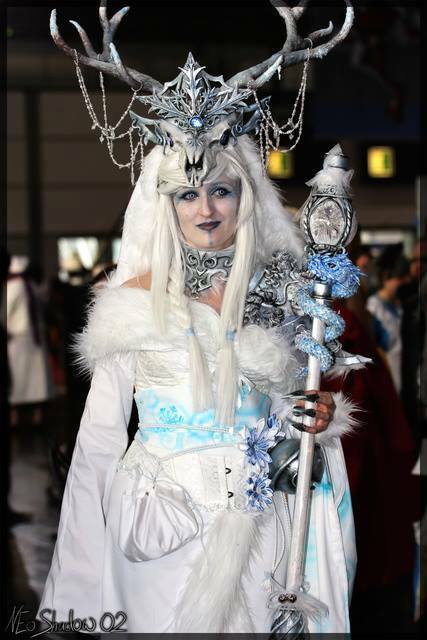 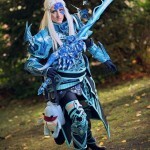 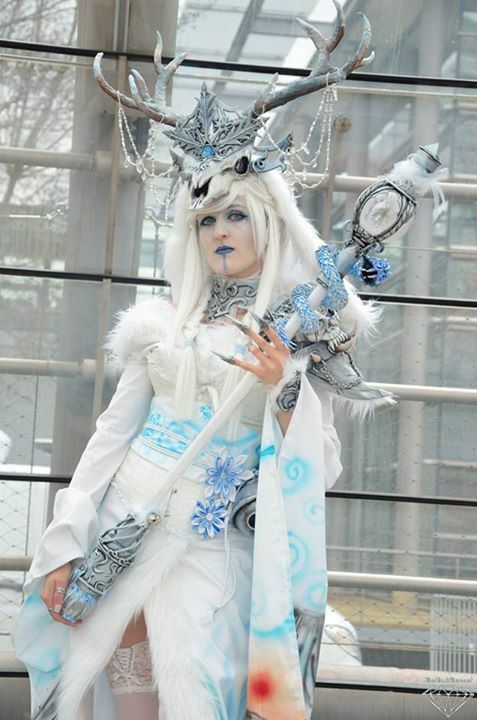 Ice Spirit Queen, photos by Andy K and BlueBlack Diamond. 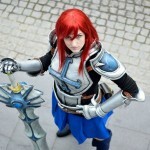 Erza Scarlet Heart Kreuz, photos by BlueBlack Diamond. 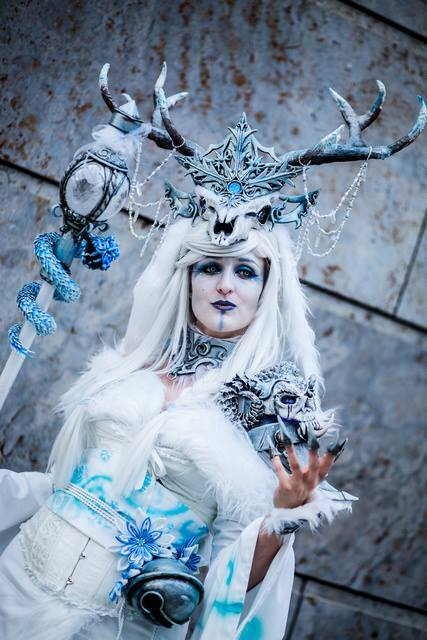 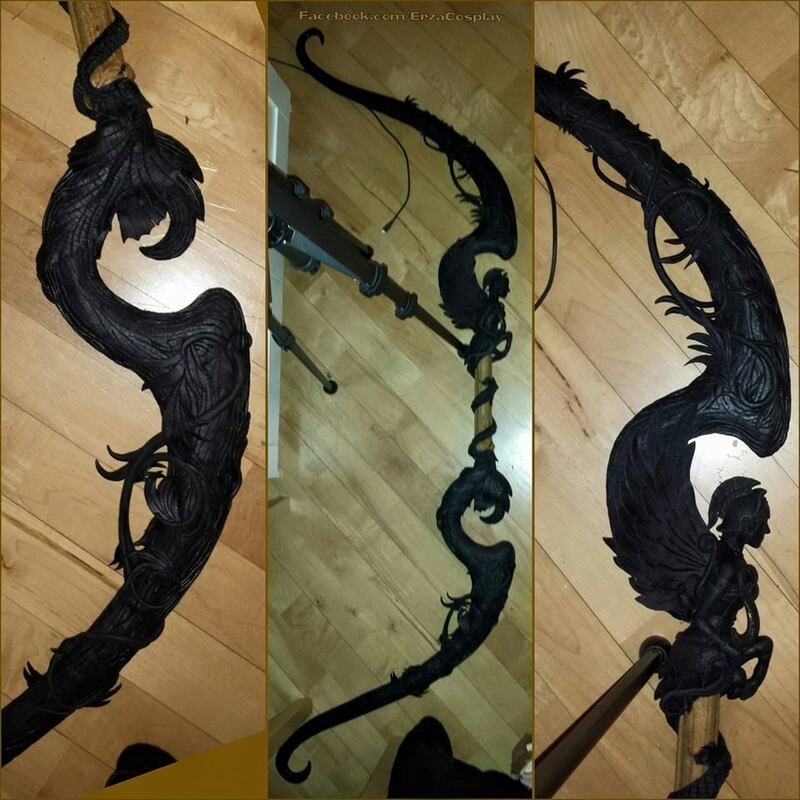 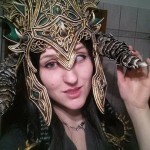 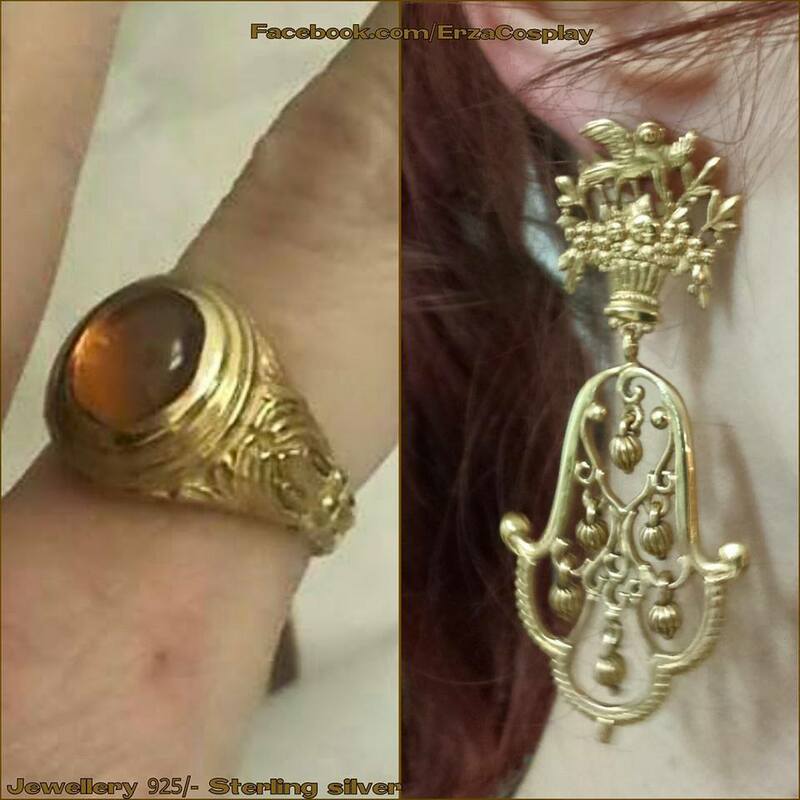 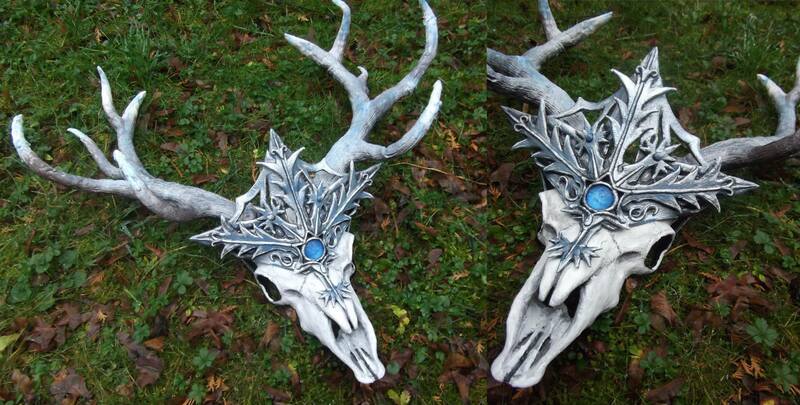 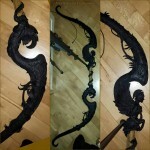 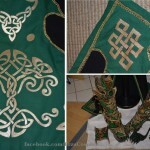 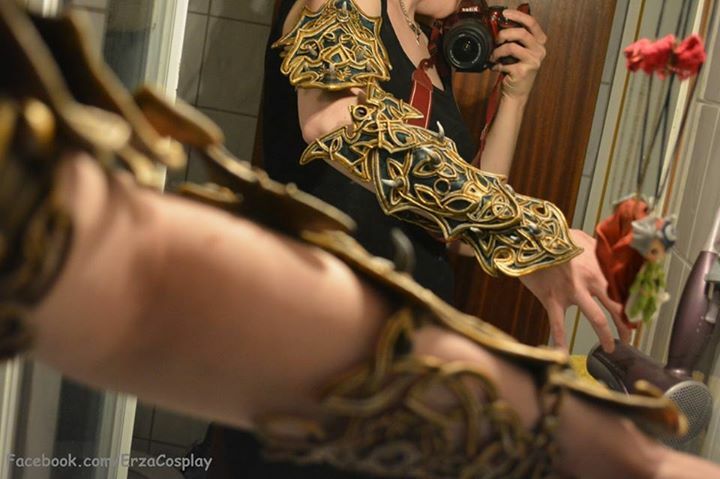 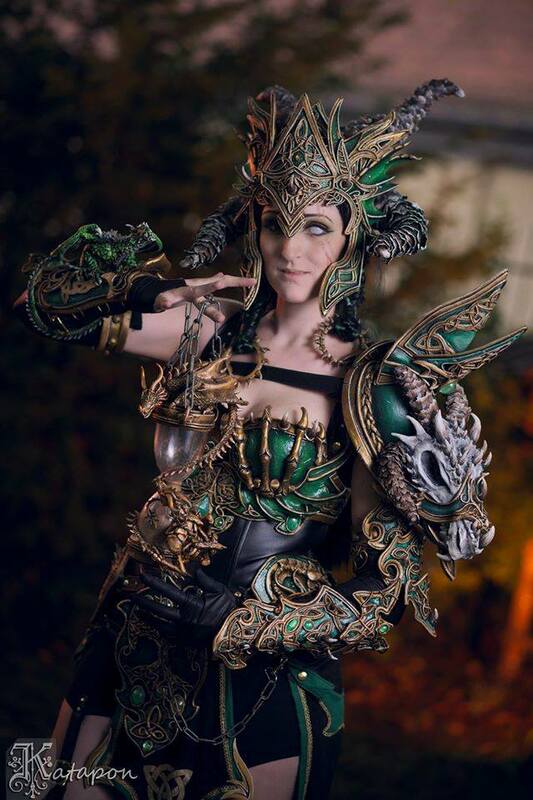 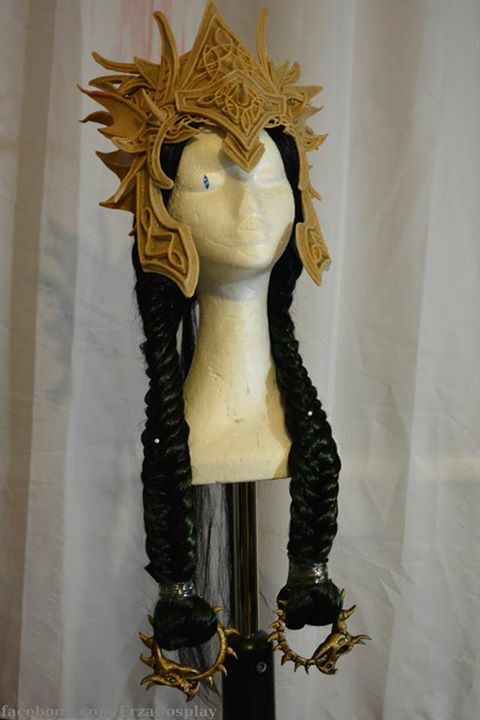 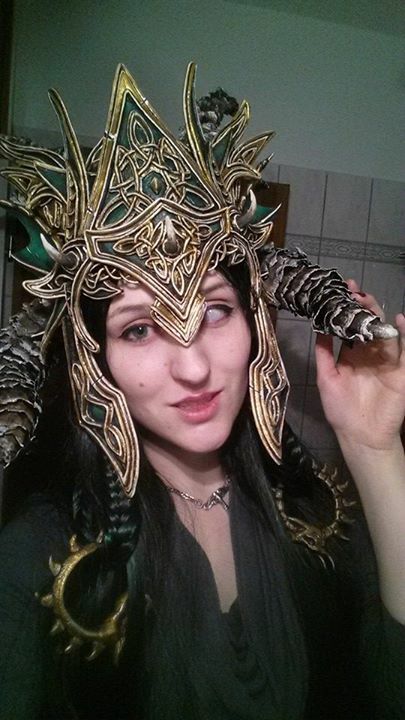 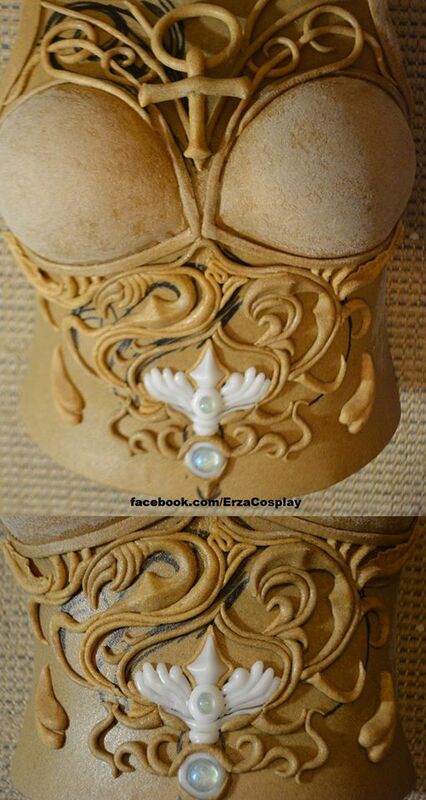 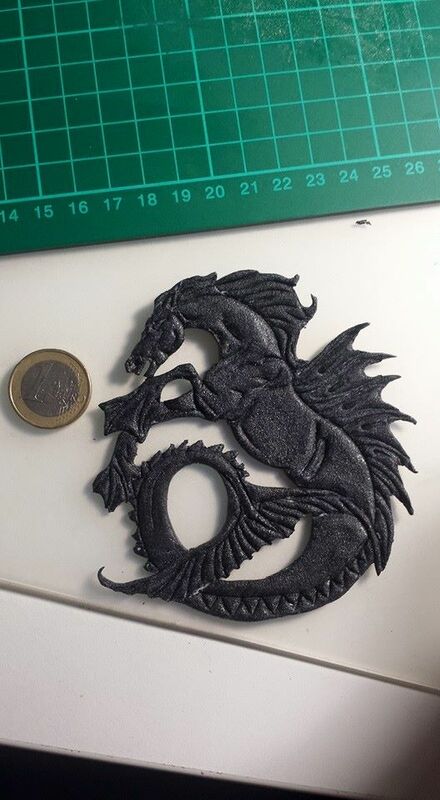 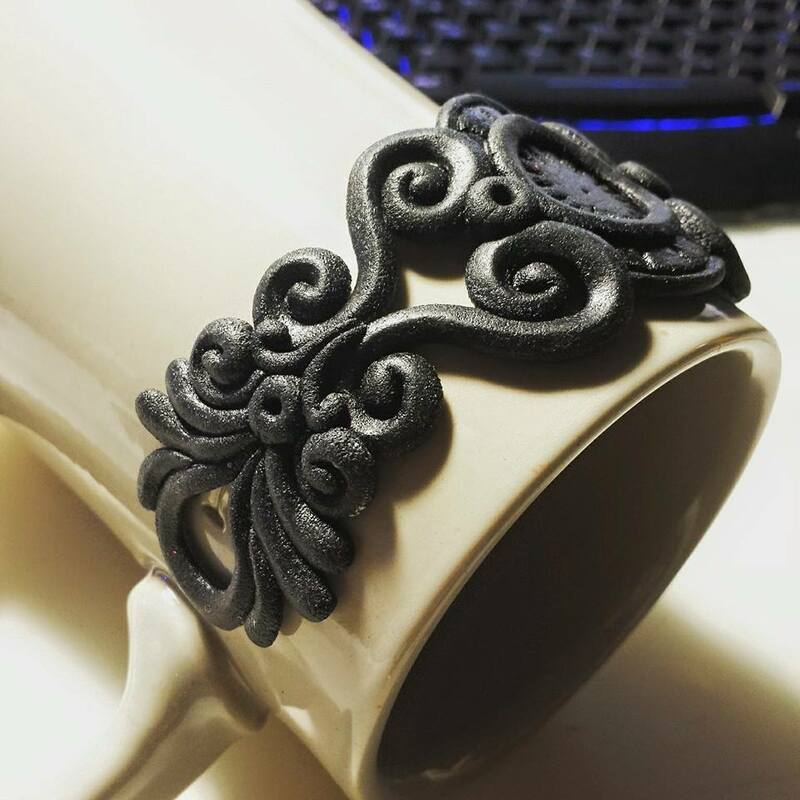 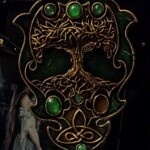 Hel, the Dragon of Life and Death, an original design by Erza Cosplay. 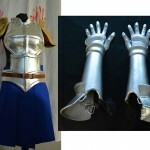 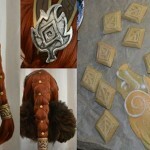 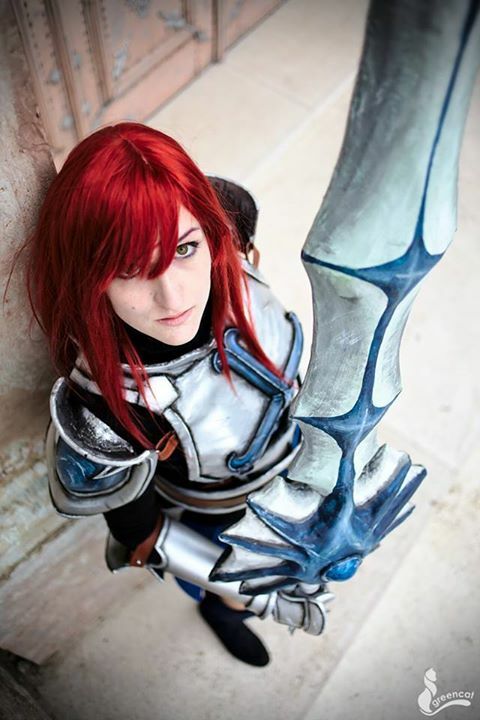 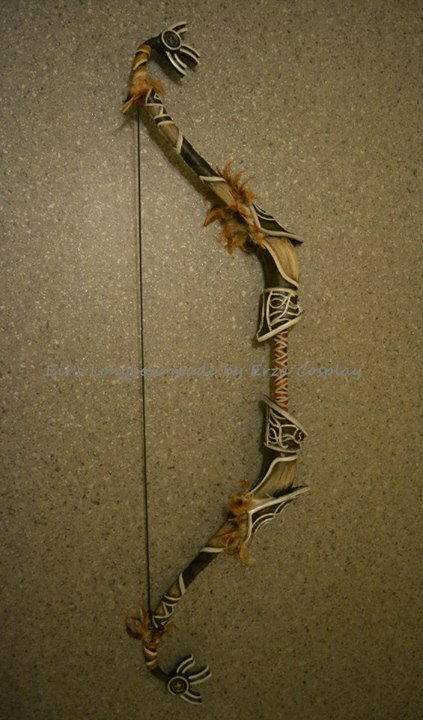 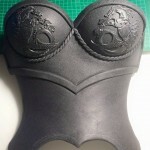 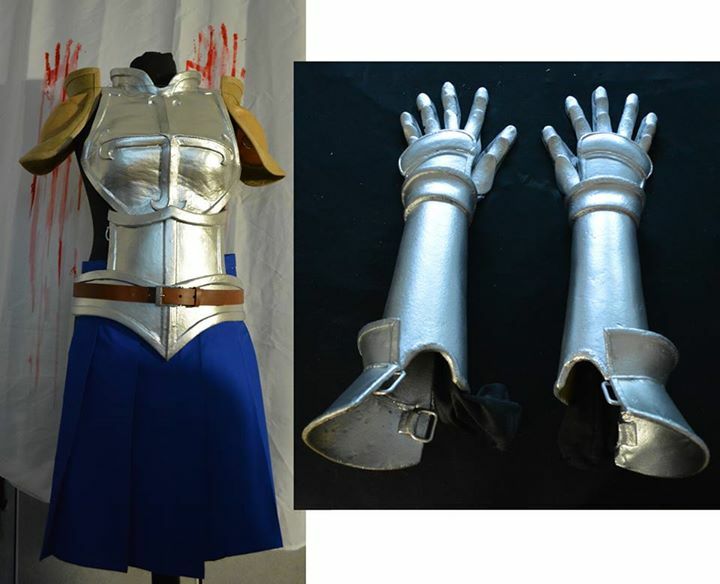 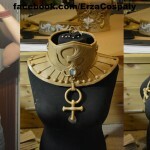 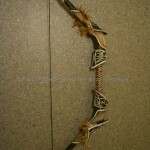 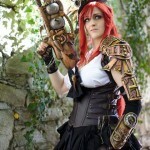 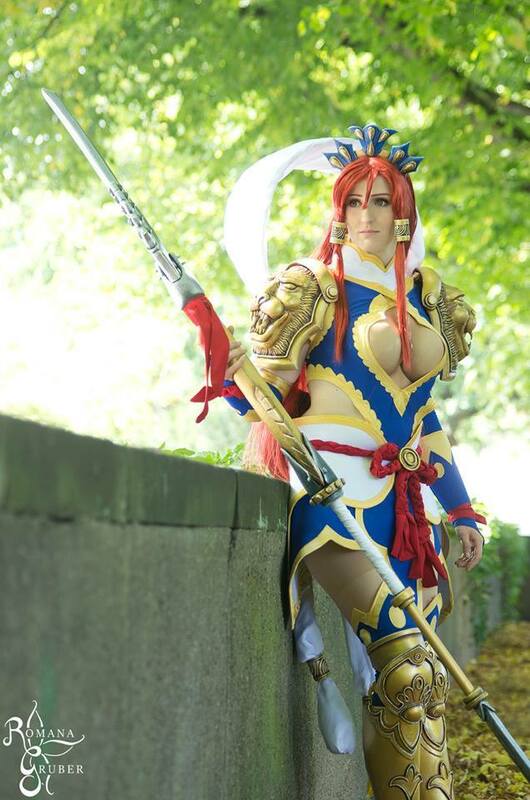 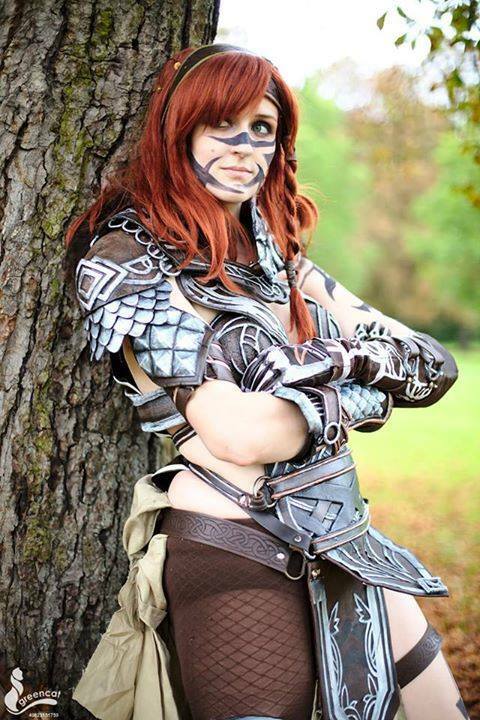 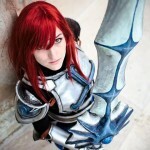 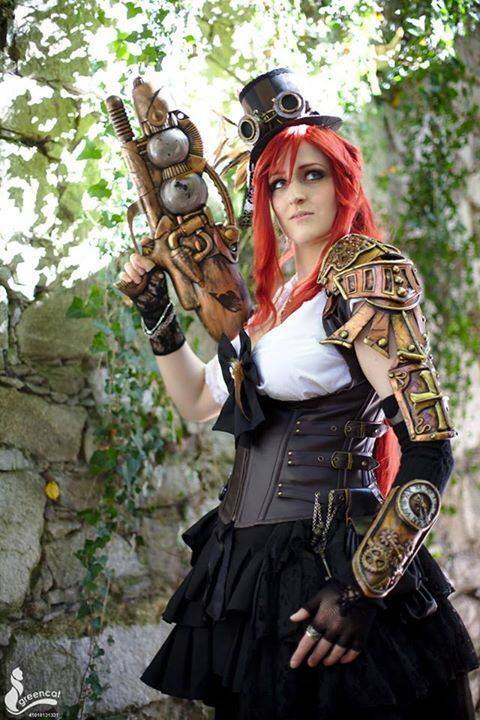 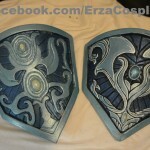 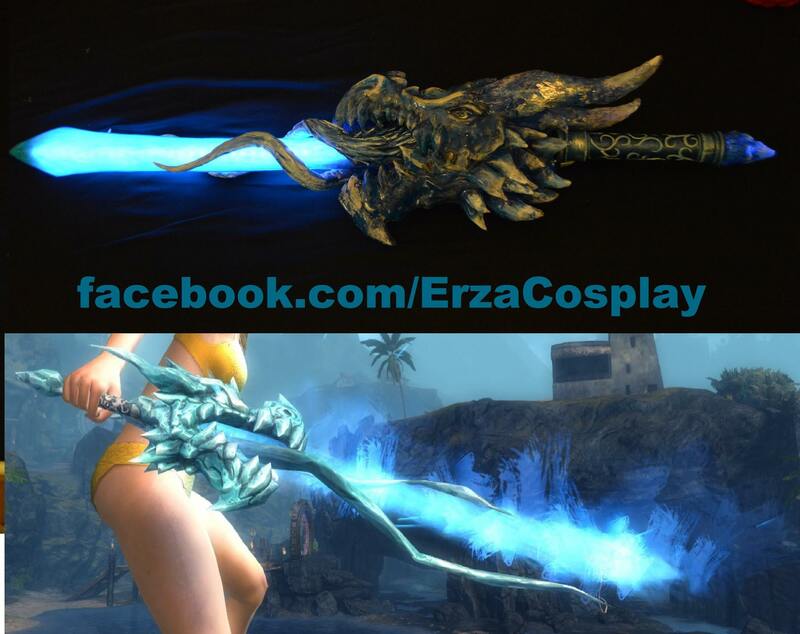 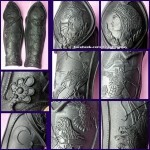 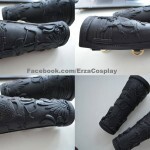 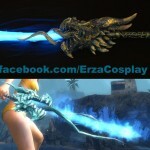 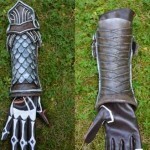 Erza Cosplay has also shared numerous videos showing multiple techniques with Worbla products for Cosplay and Costumes. 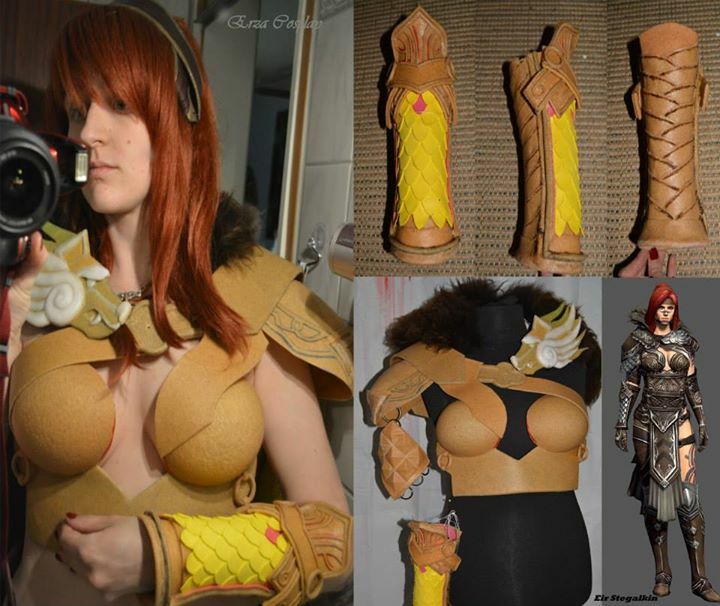 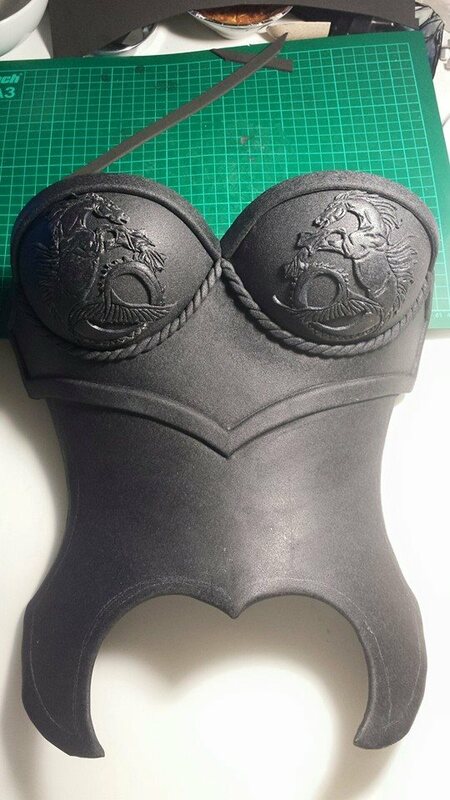 Erza Cosplay shows how she uses thin sections of Worbla’s Black Art to create the iconic Greek ‘wave’ detail on her upcoming costume. 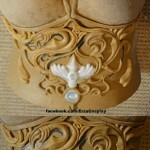 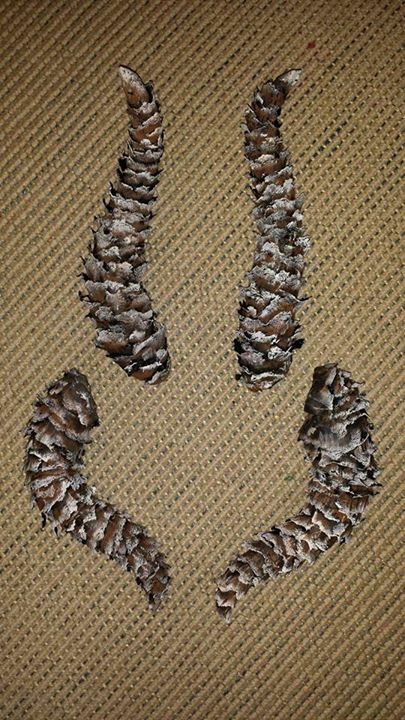 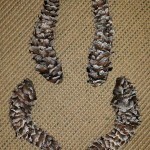 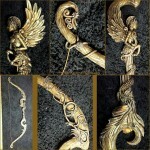 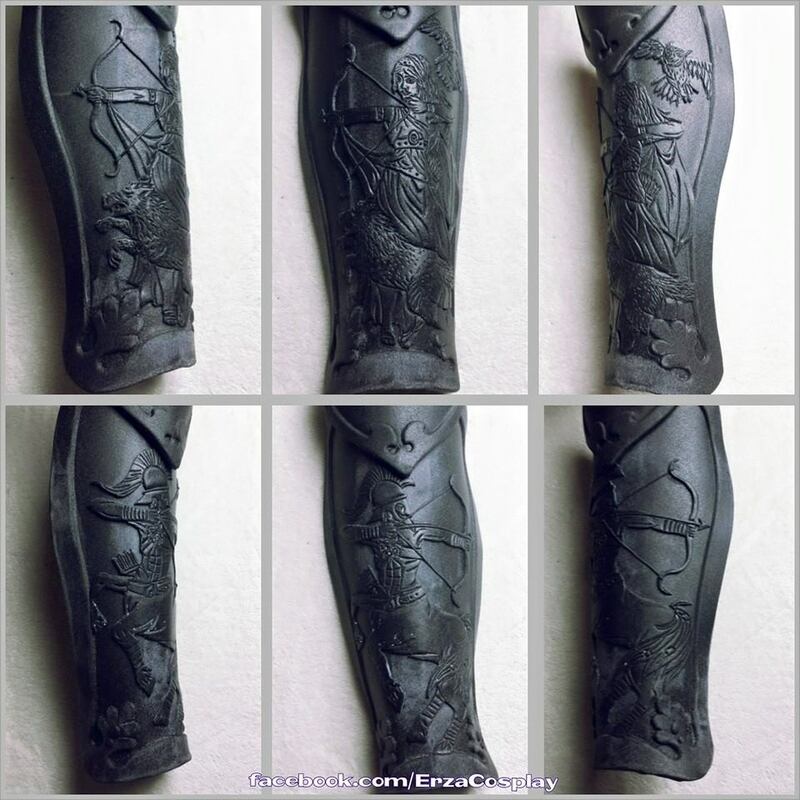 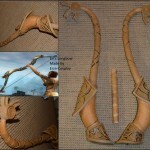 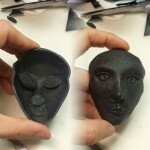 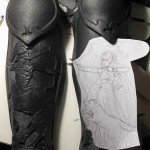 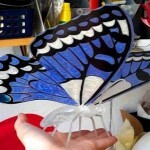 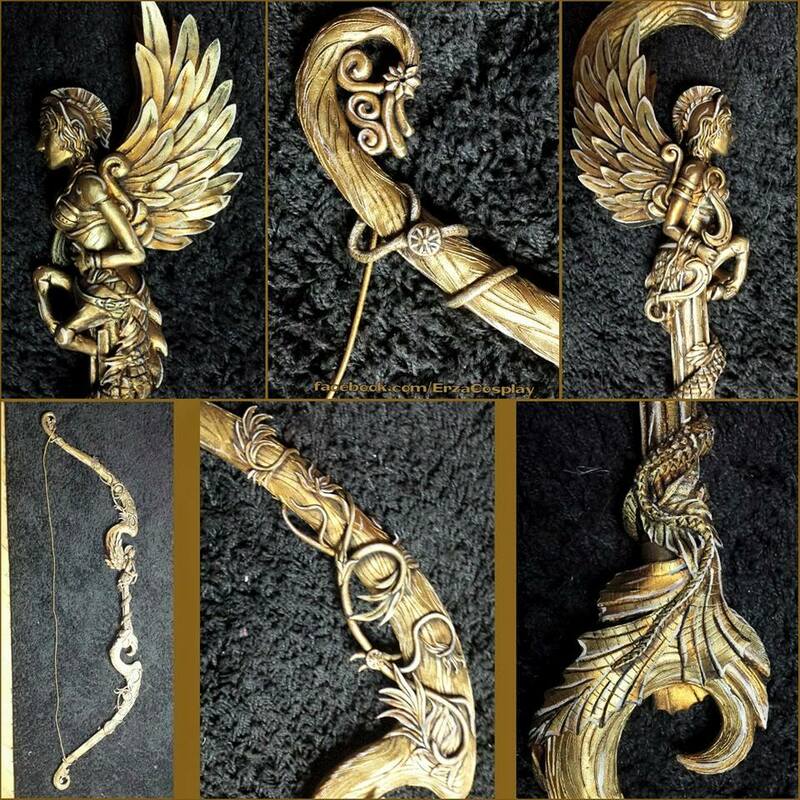 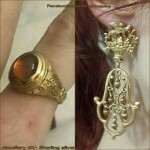 You can also see how she uses a ‘half relief’ method to create impressive detail for her upcoming Sagittarius design. 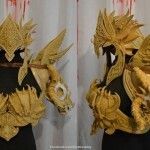 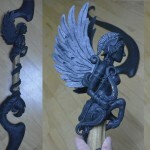 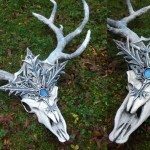 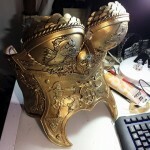 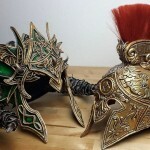 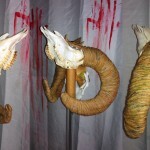 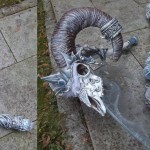 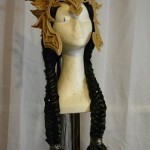 This is a great video showing how to make lightweight, sturdy horns for your cosplay using Worbla Black Art and Aluminum Foil. 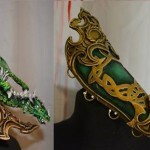 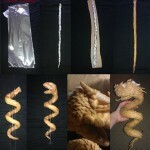 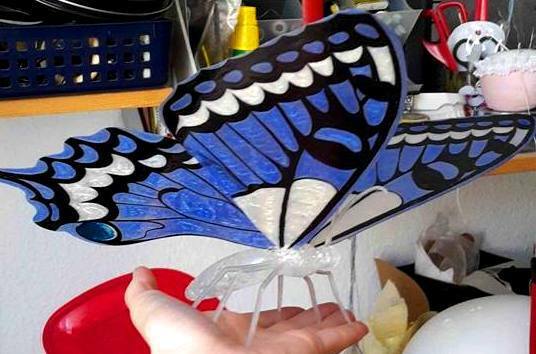 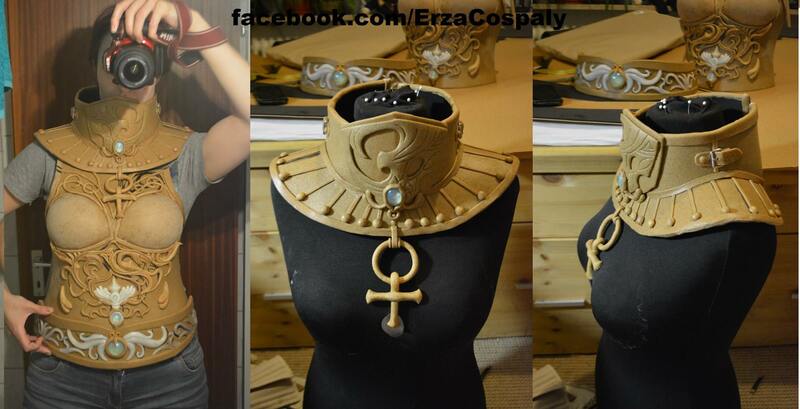 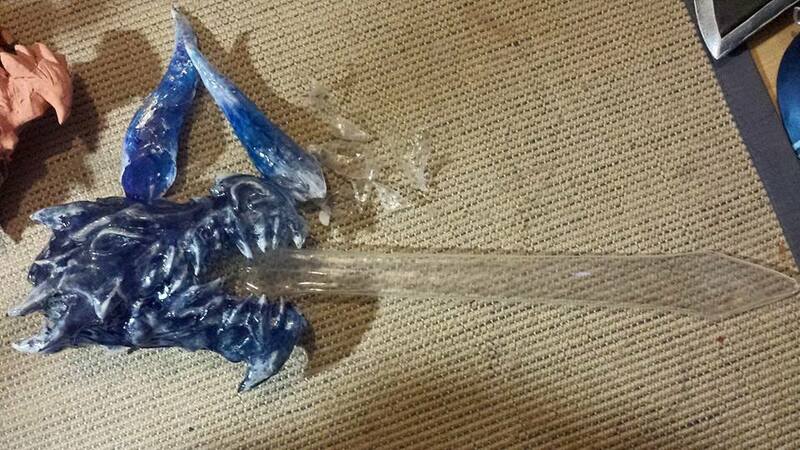 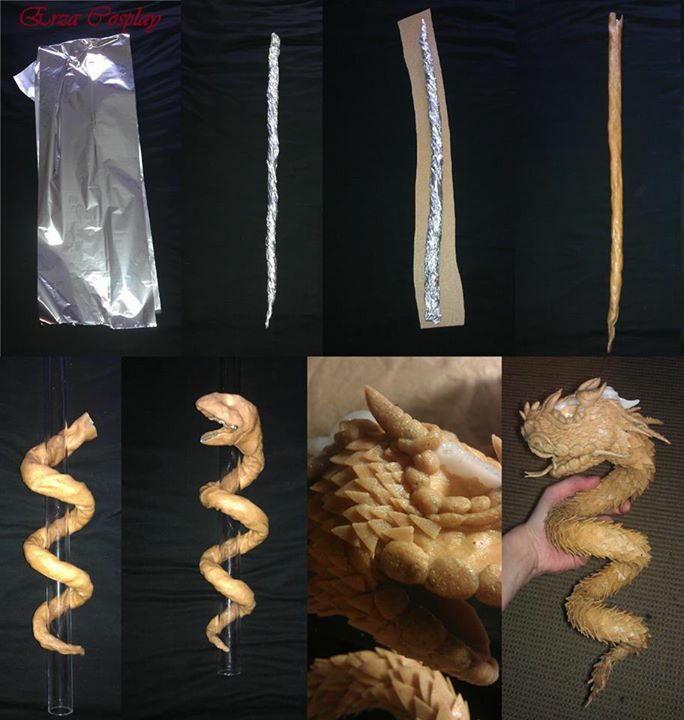 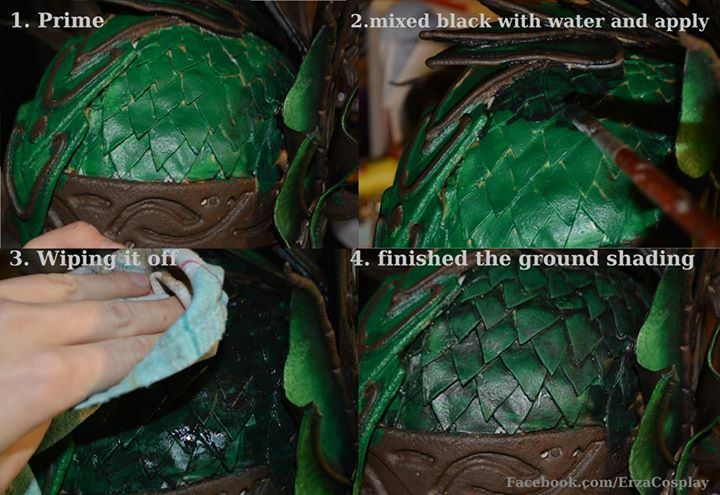 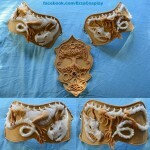 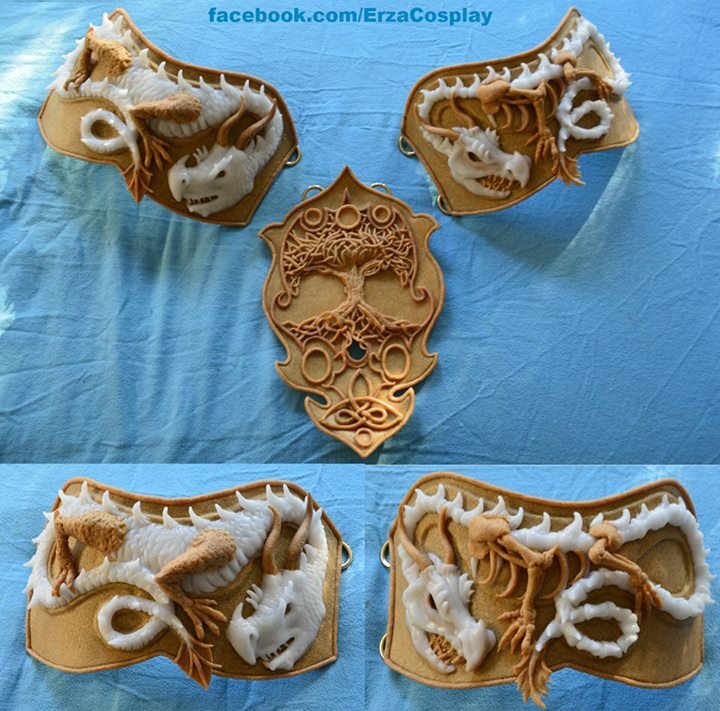 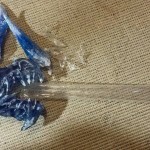 Erza Cosplay shared how she makes Dragon heads without armature or base in this video series.